Sniper Ghost Warrior has been awful quiet of late, though that seems somewhat apt for a game of this subject matter (sniping and sneaking). A few months ago, around the time of Sniper Elite’s launch the two games seemed to be going head to head with screenshot releases and trailers, then, nothing. Well, it’s snuck back into our scope with a new trailer showing off a snapshot of the game being played. Not much is revealed beyond the pretty jungles and the equal knife to gun ratio. From City Interactive’s Youtube channel. It really is only a teaser of the game in motion, as it’s difficult to garner much about how the game will be played: will it be linear in practice or more open? Will you be using a knife as much as your rifle? And, is there really no bullet drop? 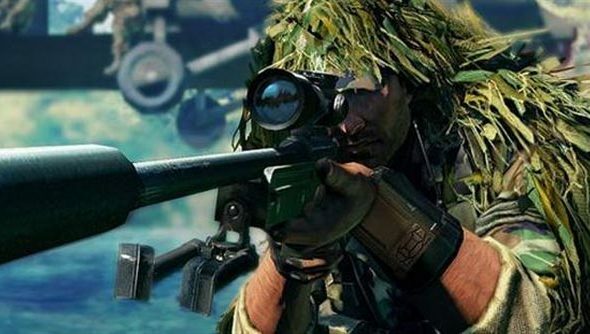 With a title like Sniper Ghost Warrior you’d be fair to assume that the game will be something of a sniper sim, much as people believed Sniper Elite V2 would be less of the straight up action game with sniper gore-cam attached that it turned out to be. Until we see more of the game in action, or get our hands on it ourselves, I can’t say how this game is leaning.